Instagram this week announced a major change that expands its video capabilities and marks another milestone in the continuing shift toward visual communication. On March 29, the social network said that it would expand the allowed length of videos posted to the site to 60 seconds. That quadruples the time from the app’s current cap of 15 seconds. 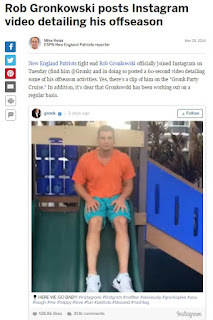 The new video capabilities are being tested with small groups of users (New England Patriots tight end Rob Gronkowski was one of them) and are expected to be rolled out to all users “in the coming months,” according to Instagram. The move is driven by one simple factor: popularity. “In the last six months, the time people spent watching video increased by more than 40 percent,” Instagram said in its announcement. What does this change mean for professional communicators? Several things. First, of course, it means more time to tell your story. Whether you’re promoting a fundraising event, sharing behind-the-scenes glimpses of your company at work, or announcing a new initiative, having more time gives you more opportunity to shine. Just because your videos can be longer, however, doesn’t mean they should be. Strong editing will remain key to success. Though digital marketers still love to debate the “ideal” average length for online video, nearly all agree that viewership and engagement decrease as running times increase. If it weren’t already clear to organizations that their communications strategies should include video, this move by the world’s most popular platform for sharing still photography should erase any remaining doubts. How are you incorporating visual storytelling elements into your marketing and public relations plans? Share your experience in the comments.